Hi! 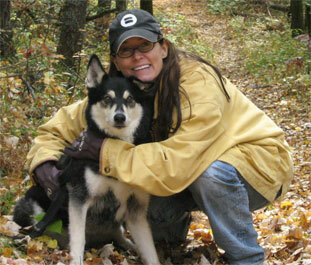 I'm Debra Fletcher, the owner of South Loop Pet Care (SLPC). I have lived in Chicago's South Loop for the past ten years and always had a love for animals. Throughout my life I have had and cared for many different kinds of animals: a Siamese cat, an oriental shorthair cat, two poodles, goldfish, a Samoyed husky, and two parakeets. When I moved to Chicago and went to the Anti-Cruelty Shelter to see what dogs were up for adoption, I fell in love with a shephard/husky mix named Misa. I am so lucky that I found her -- she has been a blessing in my life! We graduated from Pet Training 101 at the Anti-Cruelty in December of 2006. This training taught me the different commands that one needs to know when walking dogs on a daily basis. In May of 2007, Misa became a Certified Therapy dog with the Delta Society. This enabled us to go into nursing homes, hospitals, and schools to brighten people's days. I have a true passion for animals and would like the opportunity to care for your pets because I know I will treat them as one of my own. As my company is growing, I am hiring staff to assist in the care of your pets. Each person will be thoroughly trained so that they will know what is required on a daily basis for you, the client. South Loop Pet Care is licensed, bonded & insured. Thanks for taking care of Luke. He was in good spirits when we got home.